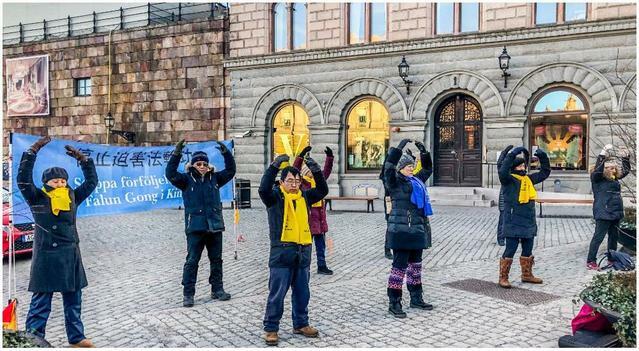 Falun Gong practitioners caught a human rights activist's attention while they were at Mynttorget, a public square in the medieval part of central Stockholm on January 12. 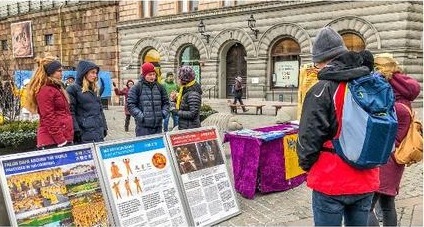 Another man came with questions. 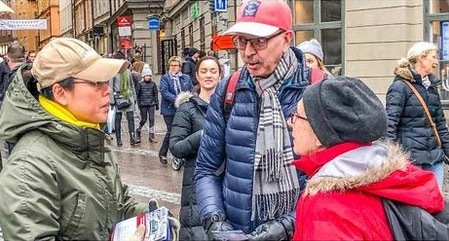 He couldn't believe that China lacks human rights and freedom of belief, especially since his brother, who has done business in China for over a decade, had told him the opposite. 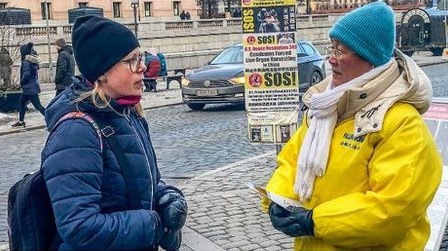 The practitioner shared with him what Falun Gong is and the reasons for the persecution, as well as the fact that practitioners in China are killed for their organs. “This is horrific! Such things are unimaginable!,” he said. 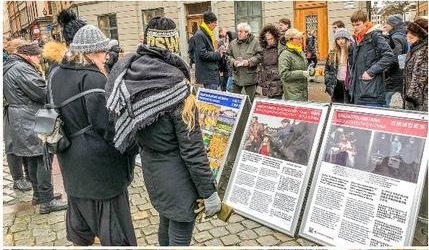 “I understand now and know what to do in the future.” He thanked the practitioner and took some flyers with him.